I WENT TO NIGERIA IN 2010 looking for something that goes unreported in Africa: good stuff that was not set up by a foreign NGO. What I found was a huge grain market just outside Kano in Muslim Northern Nigeria. Enormous trucks were coming in from as far away as Mali and Ghana and leaving with sacks of sorghum, peanuts, millet and maize. The Hausa people who dominate the area are known to be good farmers and traders - and as far as I could see the market was well-run. It had a chairman and elected officers and five separate market associations. The workers had a union and were happy to have a job even when it paid only a few dollars a day. I was told theft wasn't a big problem and the prostitutes had been kicked out when Shariah came to Kano in 2000. As for corruption, it was surely there, but of course I couldn't see it. 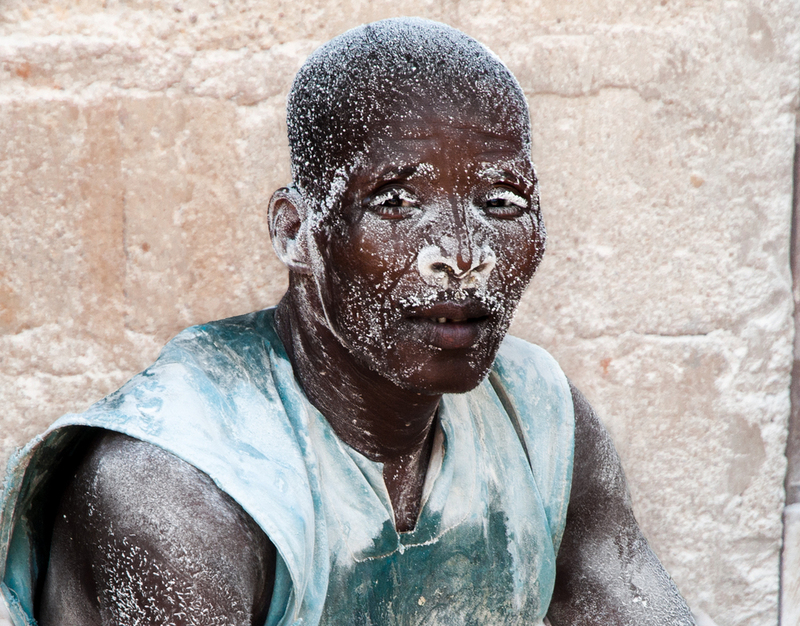 And although I loved the look of white cassava dust on black faces — the reverse of those iconic images of white workers in coal mines — I know that breathing in flour can’t be good for the lungs.